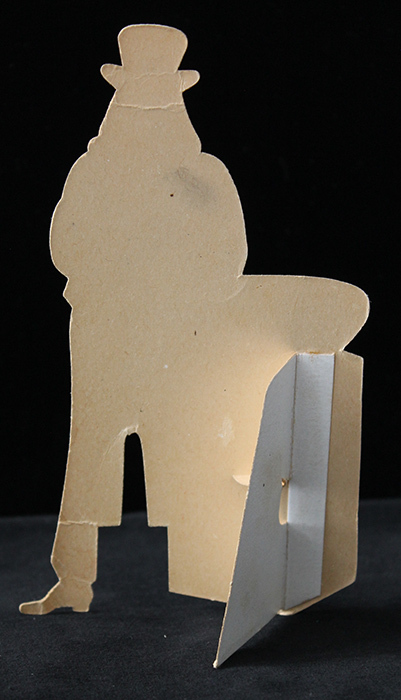 ARTIFACT: Wonderful 1890�s Uncle Sam advertising stand-up die-cut lithograph for Wheatlet Breakfast Cereal from The Franklin Mills Co., in Lockport, New York. 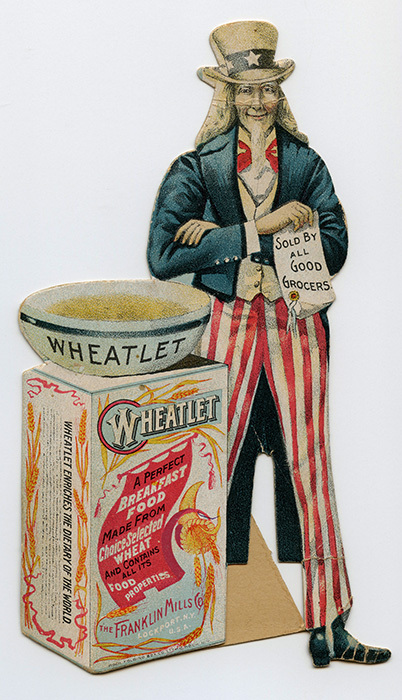 The stand shows Uncle Sam with his arms crossed and holding a sign that reads: �SOLD BY ALL GOOD GROCERS� and he is standing beside a large bowl of the cereal that reads: �WHEATLET� and sits upon a box that reads: �WHEATLET�, �A PERFECT BREAKFAST FOOD MADE FROM CHOICE-SELECTED WHEAT AND CONTAINS ALL ITS FOOD PROPERTIES�, �THE FRANKLIN MILLS CO., LOCKPORT, N.Y. U.S.A.� � the side of the box reads: �WHEATLET ENRICHES THE DIETARY OF THE WORLD�. 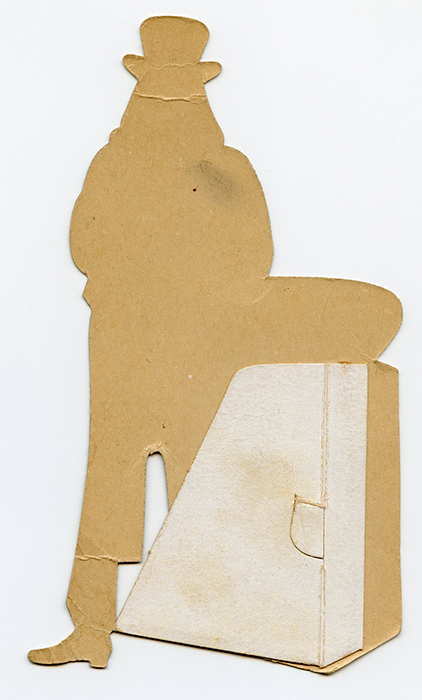 The advertising stand was made by Rochester Folding Box Co., in Rochester, New York. CONDITION: 7+ (Very Fine+): The stand shows minor wear, light soiling, some creasing and color loss to Uncle Sam�s foot and face (does not detract), colors remain bright, overall very fine condition.